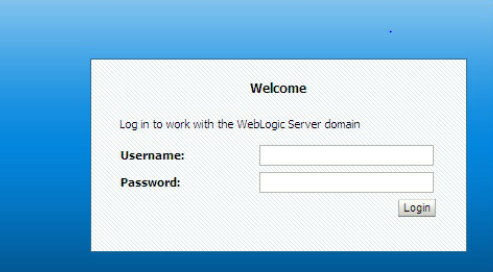 Web browser-based, graphical user interface to manage an Oracle WebLogic Server domain. b) Make the necessary changes and click on the Save button to save it. 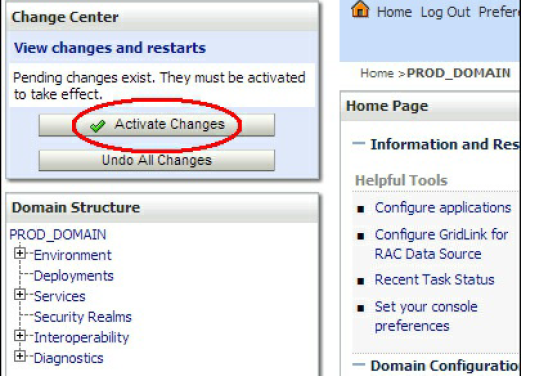 Click on the Activate Changes button to confirm the changes. configuration. If any of the Managed Servers do not accept the new configuration, the changes are rolled back and the Administration Console will show a message. If the new configuration is accepted by the Managed Servers, the changes will be activated and the configuration files will be updated by all the servers and one very machine belonging to the domain. a)Create /Clone/ Cluster/Start/Stop Managed servers. 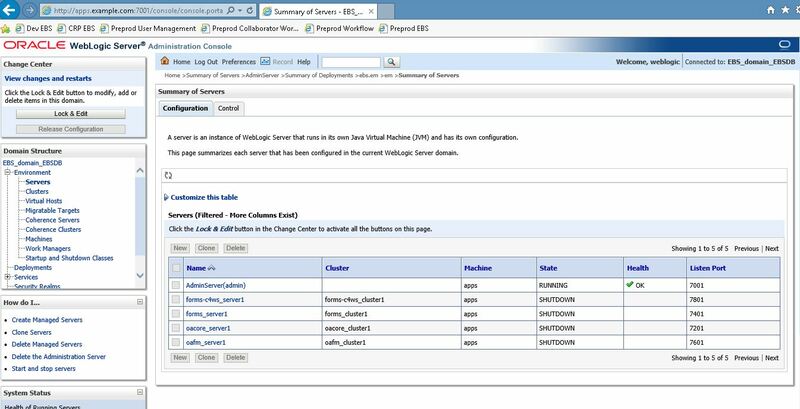 f) Change Ports for Weblogic server and Java components. b) In the left pane of the Console, select Environment > Servers. c) In the Servers table, click New. Server Name: Enter the name of the server in the Name field. Server Listen Address :In Listen Address, if you want to limit the valid addresses for a server instance, enter an IP address or DNS name. For example, enter 12.34.5.67 or mymachine, respectively. Otherwise, URLs to the server can specify any of the host computer’s IP address, any DNS name that maps to one of the IP addresses, or the localhost string. Server Listen Port: In Listen Port, enter the port number from which you want to access the server instance. Cluster Information Specify whether or not this server will be a stand alone server or will belong to a cluster.